For architectural elements – such as stonework, decorative rocks, statues, fountains, and arbors – you’ll want to use warm white lighting. This falls into the range of 2500K-2700K. Warm white lights give your landscape architecture a warm and inviting feel, making for a welcoming front yard and a relaxing backyard. You can opt for outdoor lighting that’s even warmer, but you should always avoid using cool lights to highlight your landscape architecture; it’s been found that cool lights on architecture seems unnatural and even a bit unsettling to people. Plants should be highlighted using neutral white LED lighting in the range of 3000K-4000K. Neutral white outdoor lighting makes plants appear more natural at night. In addition, since warmer and cooler lights have a bit of tint to them, neutral white lights are the only lights that will showcase the natural color of the plants. There’s a technique known as moonlighting which casts a beautiful glow on trees. Moonlighting requires a light to be placed above the tree, which will give the impression that moonlight is filtering down through the leaves (no matter how visible the actual moon is). For moonlighting, 4000K lights are the best to use. Lights that are cooler than neutral white lights have a bluish tint to them. Because of this, they should only be used to highlight naturally blue plants. The higher the Kelvin, the brighter the lights. Because of this, cool white lights in the range of 4600K-6500K are often used for security lighting. The lights closer to 4600K might be used for pathway or porch lighting, whereas lights closer to 6500K might be used as spotlights. For outside areas where you entertain or relax at night, you’ll want to use very warm lights around 2000K. These lights cast a calm reddish glow that’s similar to the glow of a campfire and isn’t too harsh on the eyes. Areas where you may want to use these outdoor lights include patios, decks, outdoor kitchens, or any other common gathering place. Whether you’re entertaining or relaxing at night, you’ll appreciate the comforting glow of these very warm lights. If you’re looking to get the perfect lighting installed on your landscape, contact Enhanced Outdoor Lighting & Design. 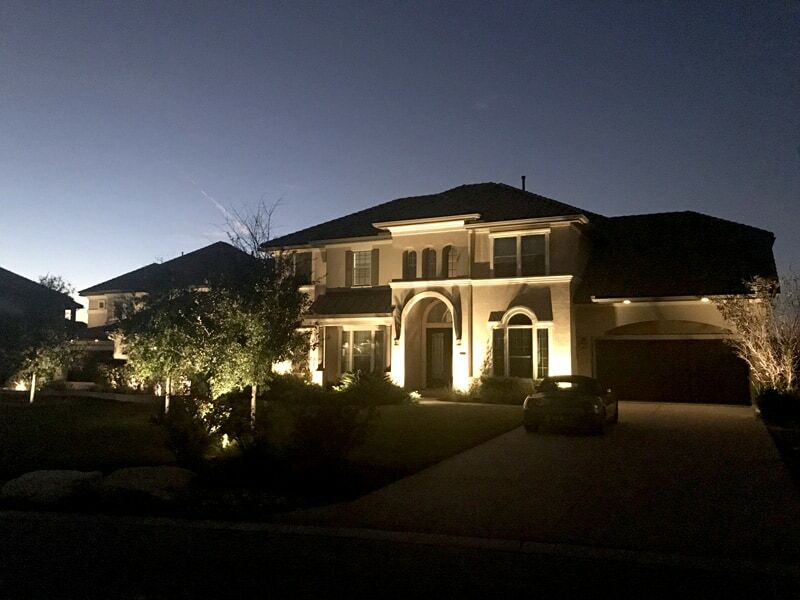 They’ll come up with an outdoor lighting design that will highlight all the best features of your yard and install lights with the best color temperature for each element. 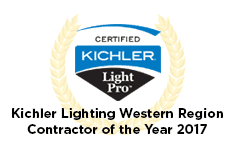 Contact them today to learn more about their lighting services in the Austin and San Antonio areas.